This easy to install plug and play tuner attaches to sensors in the engine bay and works with your factory ECU tuning to remap boost, timing, and fueling for optimal performance and reduced turbo lag. 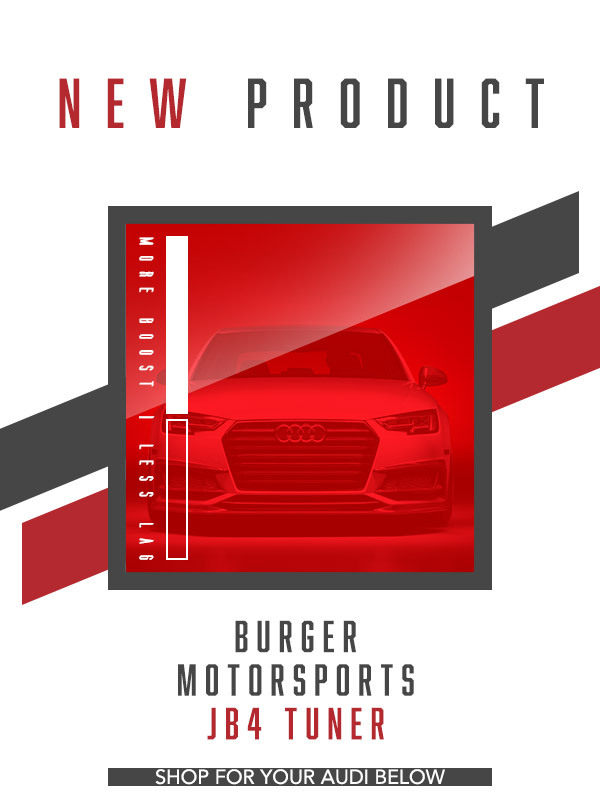 Includes full SENT sensor technology required for properly tuning the latest Audi platforms. Includes full CANbus allowing the JB4 to access and incorporate all engine data in it's tuning strategies. Fully compatible with JB4 mobile for on the fly map changes, data logging, firmware updates, and much more. Taco Bell, Burger King, or KFC?